Wondering what to do over the weekend? Sick of the usual boring trips to the mall pointlessly spending money on stuff you probably don’t need? 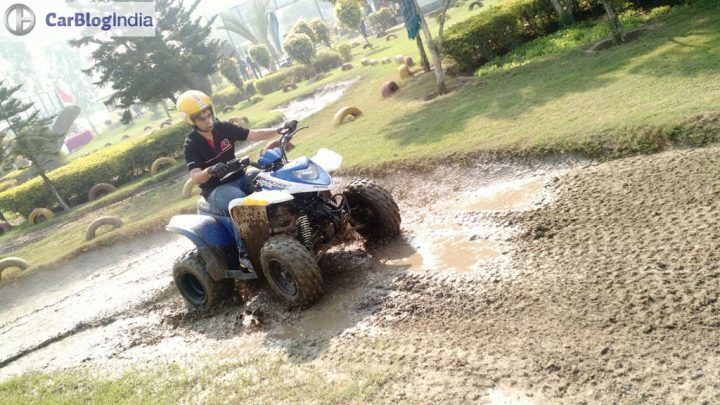 Well, maybe this time you can head over the Polaris Experience Zone for some off road fun. 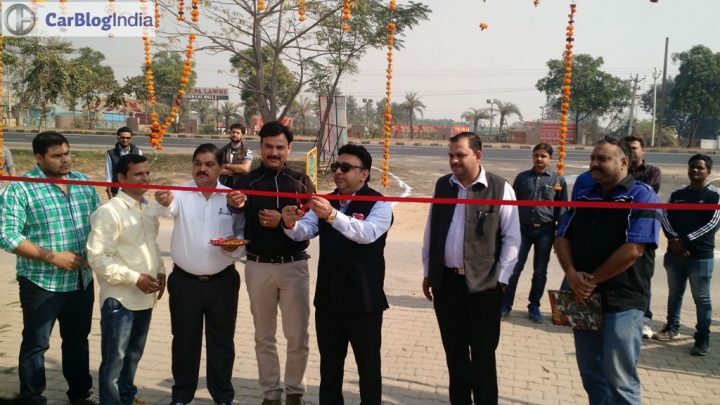 Polaris Industries Inc.’s Indian arm has opened the 42nd PEZ or Polaris Experience Zone in India. 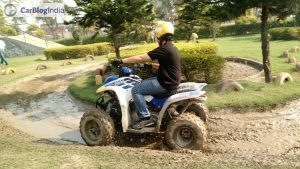 These off-road tracks, which are situated throughout the country, offers people a chance to sample Polaris ATVs at custom made track complete with slush, mud, slopes and more. 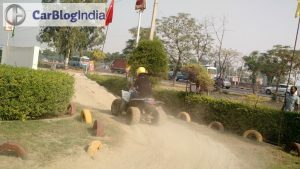 We got a chance to check out the newly inaugurated facility located in Gannaur, Sonepat (Haryana) just 50 kms from Delhi and you can read about our experience and check out some pictures of the Polaris Experience Zone Sonepat. 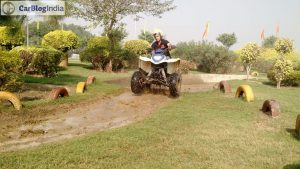 Polaris, one of the leading names in the All-terrain vehicle (ATV) industry, has three of its products on offer – Phoenix 200, Outlaw 90 and Sportsman 90. We took the Phoenix 200 for a spin through the undulating surface full of slush pits, artificial slopes and more and even after countless laps aboard this mean machine we were still hungry for more. The ease with which the Phoenix 200 goes over whatever the track threw at it is very impressive. Some users might take a little bit of time adjusting to it, but once you do you will realise how much fun this thing is. Polaris designs, engineers manufactures and markets innovative, high quality Off-Road Vehicles (ORV’s), innovative All-Terrain Vehicles (ATVs), the Polaris Ranger, (for recreational and utility use), Snowmobiles, Motorcycles and electric-powered vehicles. Polaris India dealerships are located in all major states and cities and they also currently supply products to the India Armed Forces. 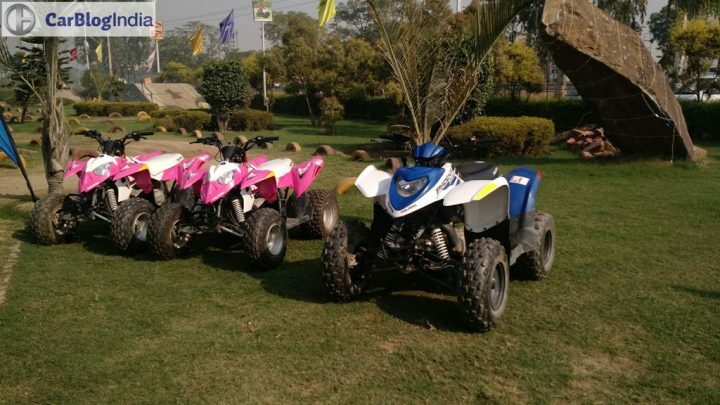 Do check out the Polaris Experience Zone Sonepat or head over to their website to locate a PEZ nearest to you. And stay tuned to Car Blog India for more news and reviews.